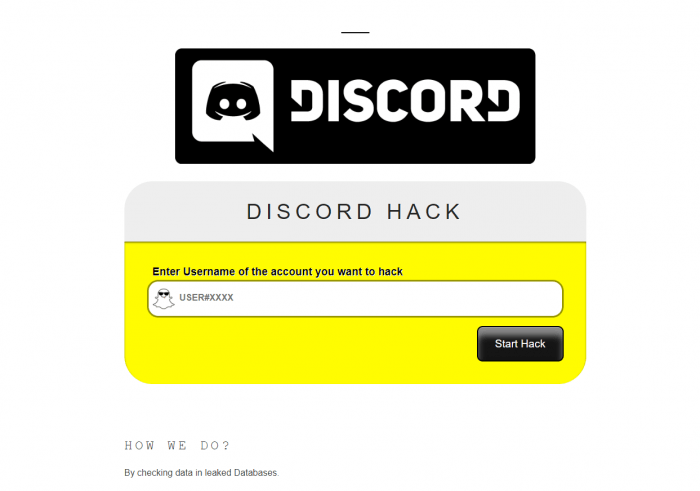 Discord Hacks – In this tutorial we will be focusing on how to hack discord accounts which in turn can also result is getting discord group hack by actually hacking its admin. The concept of our online discord hacks tool is simple. We search your query(USERNAME#XXXX) in our updated leaked discord database and if present we show it to you. 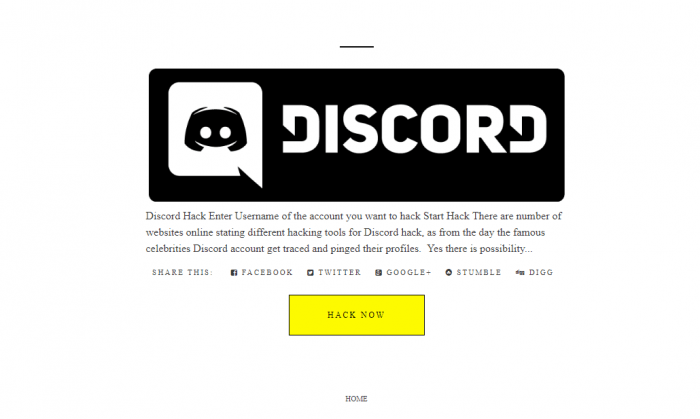 You can also use this type of hack to hack discord servers. Due to recent ABUSE of this service we will be suspending this service for indefinite amount of time in next 12 to 24 hours. Till then we will allow the general public to use this service. To see the current status see below. 2.Click on Scroll Down Button. 4.Write the victims user-handle of discord. 6.If the password is found click on Download. 7.Download Information.txt by completing Human Verification. 8.Enjoy the Email and Password of your Discord Victim. Gaming is one of the most common sources for leisure time for centuries. But with online gaming at the peak, most of the new generation is head over heels with the concept and new idea of gaming. Mainly kids of all ages always seem to be influenced and attracted to online games. If you play a lot of online games on your computer, then you should make time to know about the Discord. Discord is a server, which is designed to help players communicate through this server. That will let you text and voice chat with the other players. The discord server can work on your PC and in your smartphones. Want to learn about how to hack a discord server 2019? This server popularity has increased in recent years. This server used for the communication in many games like PUBG. You can communicate easily to an entire server of game players. This will also work in your browser. This will run on all type of OS like Windows, Mac OS, Android, Linux, and iOS. This is a multi-platform and operates on the web and also an installed application on the personal computers. If you want to create a server, then just simply go to the site. There you can find the + symbol. Just click it. Then the window will appear will two options “create” or “join”. You are going to create an account, so you have to click the create button. After that, you have to give a name to your server. You can also able to set an icon to your server. You can also able to set your region in the server. After entering all the information, just click the create button. Then your account is created. How to see what discord servers someone is in? Read further to know more! How to hack a discord server? You can create your Discord account in your PC or in the app. You can use any web browser like chrome or safari. After opening the Discord page, you can see the registration form for the Discord hacked. Then you are able to see the register button and tap that button. After tapping that button then sign up form displays on the screen. You have to give the username, and that is visible to other players who are using the Discord chats. Then you must enter your email id. You will use that email id to log in to your Discord account. This email will help you to reset your password if you forget it. Then give a password to your account. Use a discord password hack. That will be a key to your account to open. Then finally tap the register button. Then your account will be created. They will send a verification mail to your email which was you entered in the registration form. Then you must open your mail and press the verify button. After verification, you can use your Discord account. The one thing you must mainly consider is Discord hacks. You can learn how to hack the discord server easily. If you want to hack a Discord server then you must be friendly to the admin of the server. You must lie to them and ask for the tokens. You must be done quickly. After using the tokens, you must download and extract the exe file. After download runs it. You must write the code to hack the Discord server. Otherwise, there are many sites offering the hacking code in online. You can use it to hack the Discord account. The question of how to hack Discord is very simple. But the solution to that question is tough. You must have some computer knowledge to hack the Discord server. First, find the server which you want to hack and then start. To select the elements, you have to press the CTRL+SHIFT+I. then you are able to select the users. Make sure that the users on the right are in blue. Make sure that you are doing this to an admin account. How to hack discord admin? Replace their code with your code. You have to know about the coding. You have to write the code and able to run it without any mistakes. Then you successfully hack the Discord server. How to hack into a discord account? Discord is a very popular messenger and it is a large user base. So many hackers and other people want to hack the Discord server or an account. There are many easiest and cheapest methods to hack a Discord account. Use any spy applications or any other applications. You can buy the application online. This cost will be less than the hiring a hacker to hack the Discord account. This method is the most reliable and easier method. You don’t want to buy an application then hire a hacker to hack an account. Just go to the dark web. That is the darkest side of the internet. There you can find a hacker who hack discord account. But be careful that the dark web is the very anonymous place. You can hack the others account by yourself. But you have some computer knowledge to hack the account. Take other players tokens and account details. You can send some fake links through messages to their friends in the friend list. If they click that link you may easily be able to hack their account and you are able to see their details and their messages in that account. To create that link you have to rewrite the code of the account in Discord. You can also able to Discord admin hack. You can take the admin tokens. Can friendly ask the admin to give the admin credentials to repair the group. Then you are able to hack all the accounts in that group. There are many tools on the internet. These are the online generators. By using these tools, you can simply get the tokens of others. You can also hack the other player Discord accounts and their Discord passwords. So, you may easily get into the other player’s accounts. These tools will generate unlimited gold and diamonds. You no need to spend the real money in the game to move forward. It will able to create up to 10 thousand of gold and diamonds without spending the real money. The discord hack tool is very easy to use. You can also handle it very easily. This Discord hack tools are very safe to use in your systems or even in your smartphones. The hacking process of the tool will look like the natural process. So other players or the game organizers cannot find that you are using the hacking tool. They will generate the gold and diamonds very cleverly and it looks like that you bought by spending some real money, collected or you are rewarded by some amount gold or diamonds. It is a free tool. There are few tools in the online, which you must purchase them with some amount of money. If you want to download this Discord hack tool you have to first register into their site by giving some personal information. After that, you can sign in into their account. In that page, you are able to download the tool. Some sites are offering free hack tools. But some sites are selling. In that type of sites, you have to pay some money to buy that tool. You can able to do the payment by using your PayPal account or any of your debit cards. To download the tool, you have to give your email id or username which was connected to the game. You have to download silently in the background. You do not tell anyone. If they know that hacks, they will also use the same hacks to win the game. Then game organizers will change the game pattern or otherwise, they will block your account. Then you will not able to play the game. Discord nitro is a premium subscription service of the Discord server. By using this service you can get access to many games. It will also enhance your chat. This will add the features to the game and it will give free access to the games. How to hack someones discord? You have to buy this subscription. There are many sites which are selling the Discord nitro in online. You can pay through your PayPal account. This will cost maybe 9 to 10 dollars per month. By getting this subscription you can use the animated avatars and gifs. You can also able to use the animated emojis. Can also able to upload the good quality videos as a message to your friends who are in the game. You can also have permission to use the external emoji in that server. Can also change the upload size from 8 MB to 50 MB. You can also change your discriminator. So, you can buy this Discord nitro monthly or yearly. After buying this subscription, if you didn’t like you can also able to cancel the subscription. Rather than buying you can get the nitro free by using the techniques of Discord nitro free hacks. Now you can get the Discord nitro freely by using some hacking techniques. There are many leak portals to help you to hack. Just download the Discord token stealer. After downloading it they will give some instructions on that portal. Then you will get the unlimited Discord nitro for free. After receiving the token, you just simply copy that token and paste it into the Discord nitro box. This will unlock the true powers of discord. Discord Hacks will give 24/7 customer support. The nitro users can automatically enter the daily giveaways for games. You can also easily enter any fun loot. The Discord server is used in many games like Legacy of Discord – Furious wings. In this game, you need to grow your powers and conquer everything. This is a game of approach to crafting and mining. If the player wants to do craft in the game, then he has to plant the different seeds in soil. It is very simple. You must do is digging or growing. This game will allow many players to work in one platform. In these players will work together or work against each other. This is a fun game. But it uses the in-app currency just like the other mobile games. You can earn the money in the app. But the process is very slow. Diamonds and gold are the currency in this game. With that, you can buy many materials and cosmetic items in the game. The Legacy of Discord furious wing is an interesting and adventurous game. It is a free-to-play online game and that can be enjoyed on iOS and also in Android devices. This is a very addictive game. The number of players is growing every day. Every player wants to advance in the game firstly. But you have to need the money if you want to move to forward. To avoid the spending money, you should follow some of the Legacy of Discord – Furious wings hacks. By using these hacks, you can get unlimited diamonds and gold. If you want these types of discord hacking, there are many application tools on the internet which are used to hack this game. If you want to use those hacks, first you must make a connection with them. In their site, you have to enter your email id which is linked to your game. After that select how, many diamonds or gold add to your account. Then simply press the generate button. It will allow the hack. Wait for 2 or 3 minutes then restart your game, you can get more diamonds and gold. You do not have to download any files into your device. There is no break with this application. This will not create any malware, virus or any harmful actions in your device. This discord nitro free hack is undetectable. It is using the anti-detection system in their site. How to hack discord servers? As a player, it is quite common that you think there is a need to apply rocket science in order to use the tool. That is not correct. The using of the hacking tool is very simple and easy. It does not require any type of file downloads. You just must do is, execute the hacking process in the right manner. Then you will get a lot of diamonds and gold for free. The hacking discord will allow you to enjoy the game without having any limits and restrictions. You just have to spend some time and to give some clicks in your system. Then you can simply increase your diamonds and gold in your account. You no need to spend more money to buy the gold in the game. Why do players look for a Legacy of discord hacks? How to hack discord accounts? 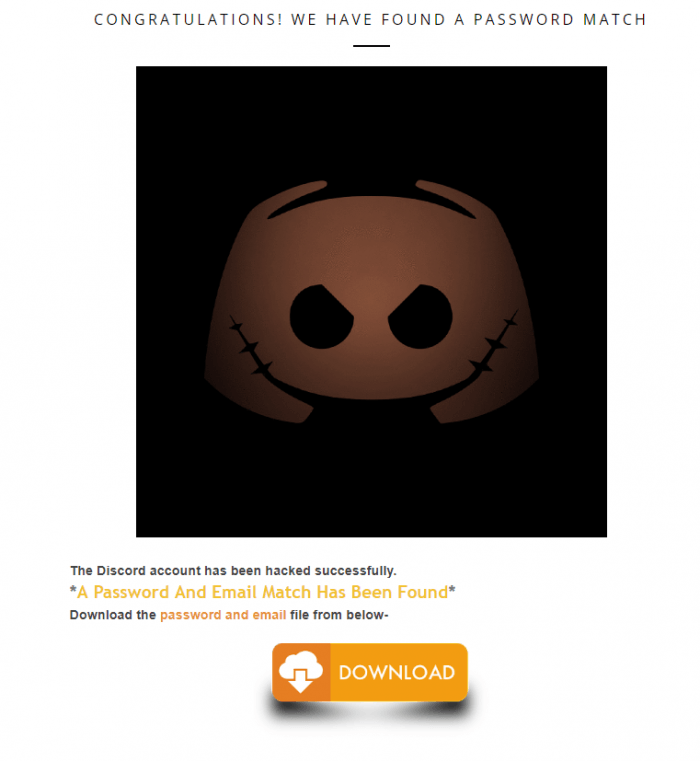 There are many reasons to use the Legacy of discord hack. This is completely safe. Every player wants to move forward in the game without wasting time, money and economy in the game. For those people, these hacks will help them a lot. By using the online generator, the players do not need to risk their gaming account and the gaming device. To access the hacking tool, you just must give some basic information, a small survey and some clicks on your system. This tool will not create any virus or malware functions in your system. It will generate all the items which were used in the game. What are the discord hacks Benefits? How to hack discord server? You can get more diamonds and gold in the game without spending money. You can also move forward in your game whenever. It allows you to play for free. You can also get the Discord nitro for free without taking any paid subscriptions monthly or yearly. The time period of the game is also your choice. You may also get some bots that will enable you to play the game with higher efficiency. The hacks help you gain coins without the need for you to purchase using real money. All that you need to do is to play the game and make use of the hacks at the right time. It is one such very popular game which is quite interesting and addictive which progresses with interesting twists and developments. A lot of advantage can be taken of the hacks. A player can gain more access as to how he could defeat his enemies through this feature. For those players who are really interested in winning this game, it is considered to be the best choice. These are a few simple tricks and techniques that a player can use to win the game and earn points. However, it is always suggested that you grab a comprehensive know how of the hack techniques and the game to ensure that you make maximum use of it.